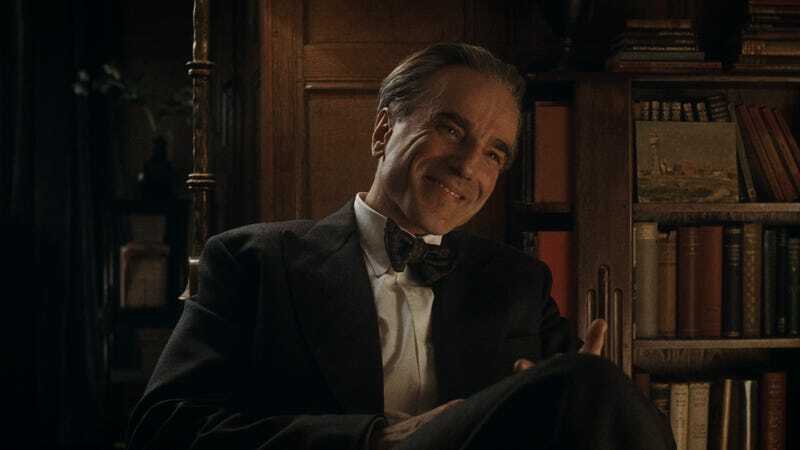 For all its reserved presentation, there’s a healthy element of tantrum-ness to Paul Thomas Anderson’s latest, Phantom Thread. Although he mostly shows it with snippy dialogue and rigidly controlled schedules, Daniel Day-Lewis’ Reynolds Woodcock is a fussy little dude, something made especially clear in a deleted scene that Anderson recently released to promote the film’s upcoming home release, showing the Woodcock siblings descend from prodding at each other into a full-on food fight. The confrontation—between Reynolds and his sister, Cyril—starts with a spit-out mouthful of tea, and only escalates from there. Things don’t get really silly, though, until Anderson resets the scene for a second take, which is when the combatants escalate from beverages to jams. Given that this is a film where food is frequently used as a weapon—emotionally and otherwise—there’s something weirdly sweet about seeing Day-Lewis and co-star Lesley Manville embrace the silliness of the moment.